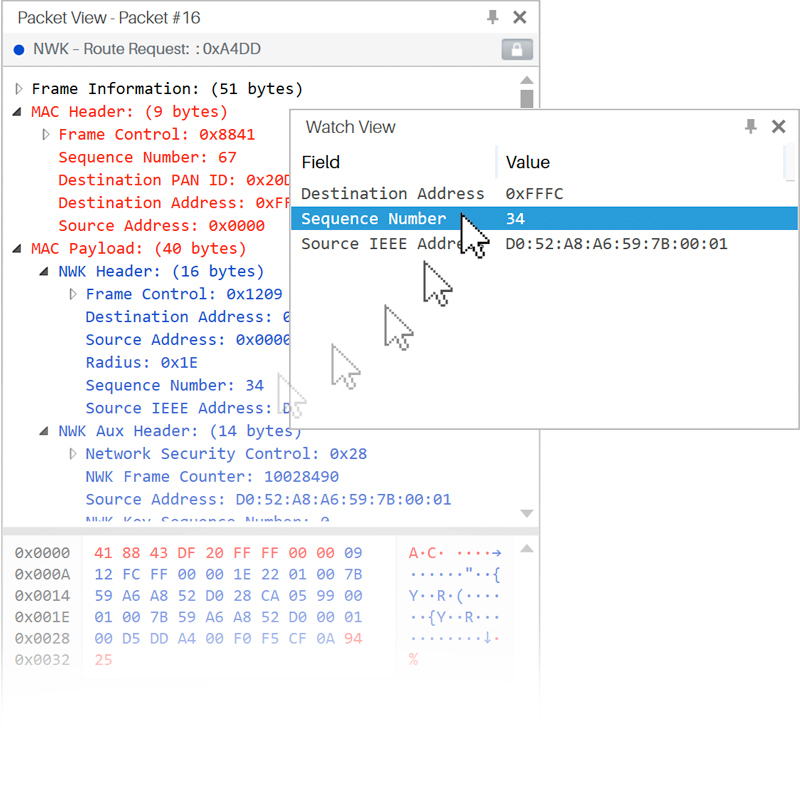 This view aims to assist you to track value of a field shown in the ‘Packet View’ tree, which is useful when capturing since it allows you to see how the value is changing as more packets arrive. To use this feature, just select a field from the ‘Packet View’ and drag it to the ‘Watch View’ (see the figure below), the value will be updated each time you select a different packet on the Traffic View. Combine this feature with the Auto Select option to see the value changing with incoming packets. The information displayed in the ‘Watch View’ can be copied or deleted by the user, for this, you have to select one or several fields and then right click on them, following this action a context menu will appear with the ‘Remove’, ‘Copy’ and ‘Copy Value(s)’ options. To eliminate a field select ‘Remove’ option or click the ‘delete’ key on your keyboard, selecting the ‘Copy’ item will save both ‘Field’ and ‘Value’ to clipboard, unlike the 'Copy Value (s)' alternative that only copies the 'Value' of the field. The contents on the Watch View are stored on the Environment, so they will be the same each time you open Ubiqua (for more information see Setting Preferences).